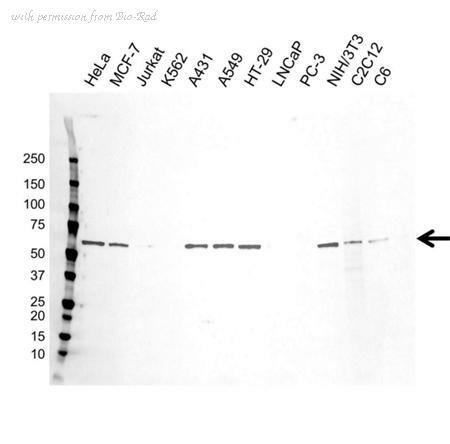 The c-MYC antibody from Proteintech is a rabbit polyclonal antibody to a recombinant protein of human c-MYC. This antibody recognizes human, mouse antigen. 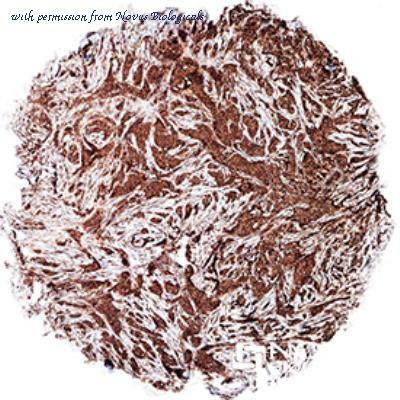 The c-MYC antibody has been validated for the following applications: ELISA, WB, IP, IHC, IF analysis. Flow Cytometry: c-Myc Antibody (9E11) [NB200-108] - c-Myc antibody was tested at 1:400 in HL-60 cells using an Alexa Fluor 488 secondary (shown in purple). M1 is defined by unstained cells. Immunohistochemistry-Paraffin: c-Myc Antibody (9E11) [NB200-108] - c-Myc was detected in immersion fixed paraffin-embedded sections of human breast cancer using anti-human mouse monoclonal antibody (Catalog # NB200-108, clone 9E11) at 1:600 dilution overnight at 4C. 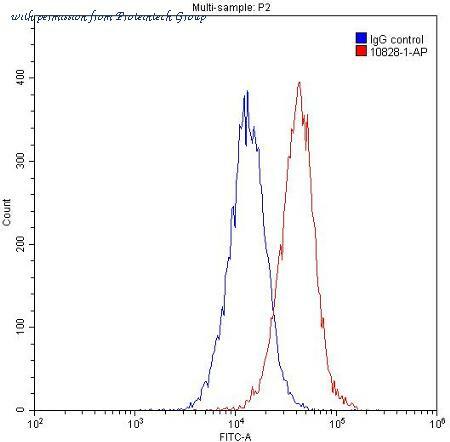 Tissue was stained using the VisuCyte anti-mouse HRP polymer detection reagent (Catalog # VC001) with DAB chromogen (brown) and counterstained with hematoxylin (blue). Images may not be copied, printed or otherwise disseminated without express written permission of Novus Biologicals a bio-techne brand. 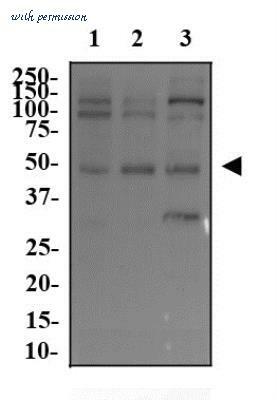 Western Blot: c-Myc Antibody (9E11) [NB200-108] - Whole cell protein from PC3 (lane 1), U-2 OS (lane 2) and mouse testis (lane 3) was separated on a 12% gel by SDS-PAGE, transferred to PVDF membrane and blocked in 5% non-fat milk in TBST. The membrane was probed with 2.0 ug/ml anti-c-Myc in 1% milk, and detected with an anti-mouse HRP secondary antibody using chemiluminescence. Figure: Immunolocalization of cMyc in transfected mammalian cells using PAb to c-Myc Epitope Tag (Prod. No. ALX-210-208).